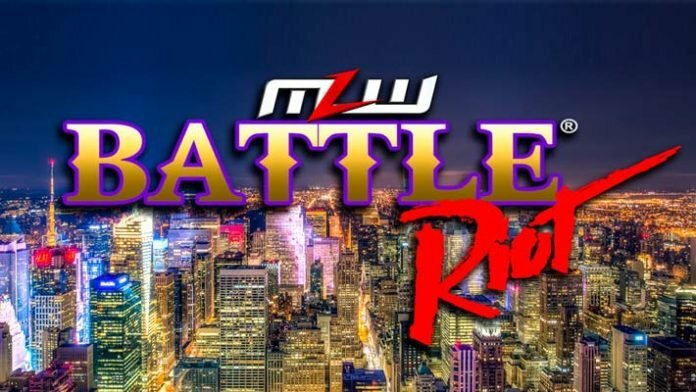 Tonight beIN SPORTS will broadcast its first-ever Major League Wrestling network special, MLW BATTLE RIOT®, 8 – 10pm ET in the United States, Canada and Puerto Rico. Emanating from New York City, wrestling fans will see world class grapplers such as: Pentagon Jr., Shane “Swerve” Strickland, John Hennigan, “Filthy” Tom Lawlor, Jake Hager, Rey Fenix, Barrington Hughes, Sami Callihan, Jimmy Havoc and countless others rumble in the first-ever Battle Riot®. Fans will also get to see wrestlers and legends including: Konnan and “Taskmaster” Kevin Sullivan as well as surprise entries from other promotions as 40 wrestlers collide with a championship title being awarded to the winner. The first World Middleweight Champion will be crowned as Joey Ryan and MJF square off for the new title. Myron Reed will make his debut as he takes on Kotto Brazil in a middleweight division bout. Tony Schiavone will be joined by former MLW wrestler Matt Striker as the duo call the historic 2 hour prime time special.